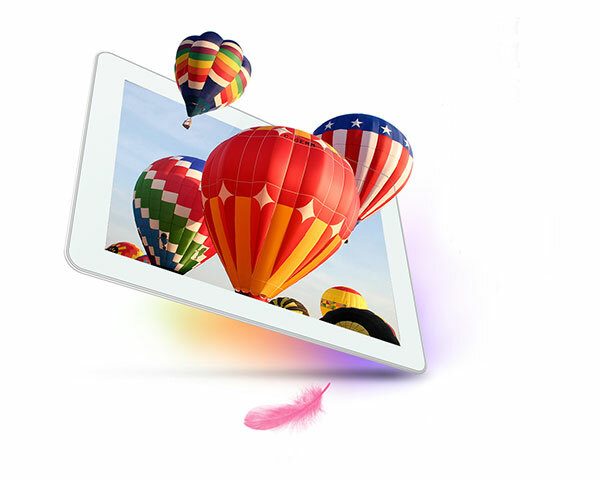 Ainol Novo 10 Hero II (2) is the first quad-core 10.1 inch tablet released by Ainol. NOVO 10 Hero II is powered by a 1.5GHz AMLogic ARM 2nd generation Cortex-A9 based quad-core CPU with built-in quad-core Mali 400 GPU, which can play 6 videos simultaneously while you can still open apps in the background. The highest HD video it can play is 4x HD, and it can output 1080P 3D video directly. Ainol NOVO 10 Hero II has an unique Quick Boot feature, it can be turned on from sleep mode in 1 second. The full boot only takes 10 seconds. The 4 CPU cores are turned on and off independently to save batery. It uses the 1280×800 pixel 180 degree viewing angle IPS capacitive screen made by Samsung (the same screen used on Samsung Galaxy Tab 10) and runs Google’s latest Android 4.1 Jelly Bean (the same OS on Google Nexus 7). The Smart Backlight automatically adjusts the brightness of the screen according the ambient light. It has dual-cameras – 0.3MP front facing webcam and 2MP rear facing camera. NOVO 10 Hero II has HDMI port so that you can play video and games on your big screen HD TV. Ainol NOVO 10 Hero II has Google Play (Android Market) pre-installed. Ainol NOVO 10 Hero II has a supper large 8000 mAh battery, so you can enjoy playing game or surfing web for 8 hours without charge. 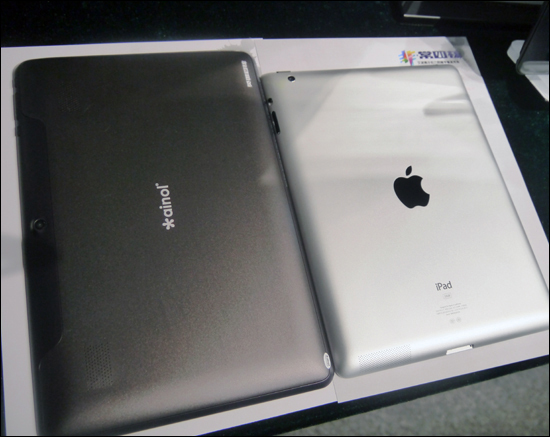 Categories: 10.1" tablets, Ainol tablets, Tablets. 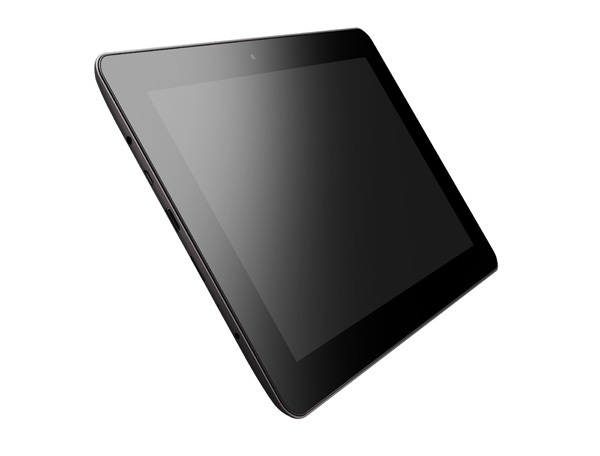 Tags: 10.1" tablets, Ainol NOVO 10 Hero II, Ainol NOVO tablets, Ainol tablets, Android 4.1 Jelly Bean tablets, IPS screen, Quad-core. 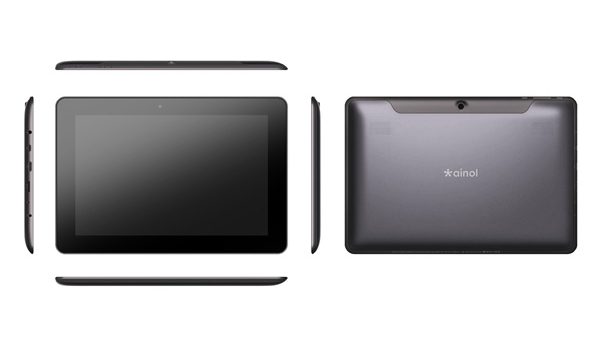 Ainol Novo 10 Hero II (2) (stocked in California) is the first quad-core 10.1 inch tablet released by Ainol. NOVO 10 Hero II is powered by a 1.5GHz Actions Semiconductor ARM 2nd generation Cortex-A9 based quad-core CPU with built-in quad-core GPU GC 1000, which can play 6 videos simultaneously while you can still open apps in the background. The highest HD video it can play is 4x HD, and it can output 1080P 3D video directly. Ainol NOVO 10 Hero II has an unique Quick Boot feature, it can be turned on from sleep mode in 1 second. The full boot only takes 10 seconds. The 4 CPU cores are turned on and off independently to save batery. It uses the 1280×800 pixel 180 degree viewing angle IPS capacitive screen made by Samsung (the same screen used on Samsung Galaxy Tab 10) and runs Google’s latest Android 4 .1 Jelly Bean (the same OS on Google Nexus 7 ). The Smart Backlight automatically adjusts the brightness of the screen according the ambient light. It has dual-cameras – 0.3MP front facing webcam and 2MP rear facing camera. NOVO 10 Hero II has HDMI port so that you can play video and games on your big screen HD TV. Ainol NOVO 10 Hero II has Google Play (Android Market) pre-installed. Ainol NOVO 10 Hero II has a supper large 8000 mAh battery, so you can enjoy playing game or surfing web for 8 hours without charge. We will include HDMI cable as free gift for all NOVO 10 Hero II pre-orders. The CPU of Ainol NOVO 10 Hero II is the latest 1.5GHz qaad-core ACT ATM 7029 (ARM Cortex-A9 based) processor and Quad-Core GC 1000 GPU. Actions Semiconductor is the No. 1 fabless design company located in China, and they hold 50% worldwide market share in multi-media processor. 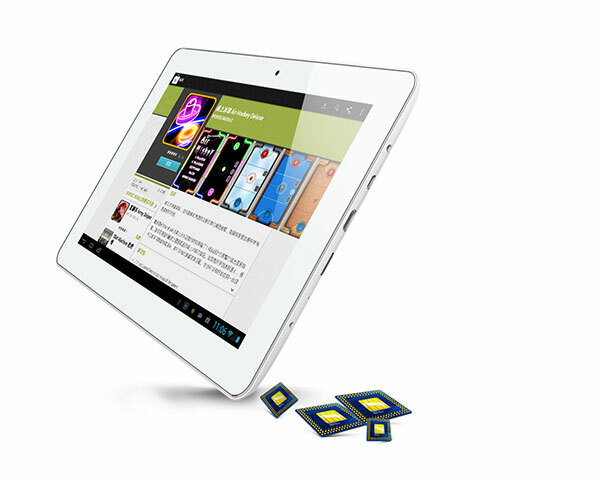 ACT ATM 7029 is the first Quad-core CPU in the OWL series and is also the first quad-core CPU seen in Chinese made tablets . ACT ATM 7029 is based on the latest ARM Cortex-A9, and it is made with 40nm process technology, which is about 2X faster and consumes about 1/2 power than other CPUs made by 65nm process technology. Overall Ainol NOVO 10 Hero II is 200% faster than NOVO 10 Hero. 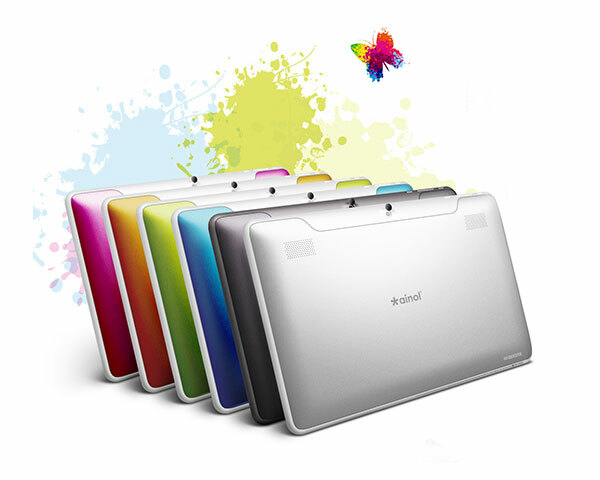 Ainol NOVO 10 Hero II has 10.1 inch IPS screen at 1280 x 800 high resolution made by Samsung – This resolution is higher than iPad2 and close to iPad 3 . The IPS screen supports all angle viewing – you can see the picture and video clearly within the 180 degree viewing angle. IPS screen also has much better black color than the normal high resolution screen . You will be amazed the the clarity and true color of NOVO 10 Hero II’s screen, particularly when playing games and watching movies and sports. Ainol NOVO 10 Hero II has a Smart Backlight feature, which automatically adjusts the brightness of the screen according the ambient light. Google has made numerous improvements on its latest Android OS – Jelly Bean 4.1. Google used to play a catchup game with Apple iOS, but it becomes almost as good as iOS starting from Android 4 .0 Ice Cream Sandwich . 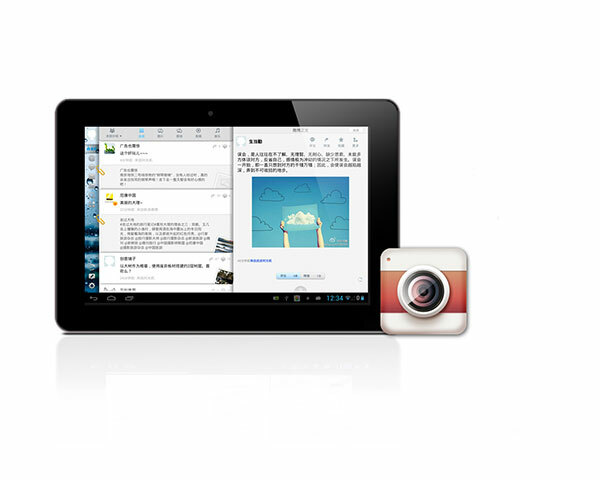 In order to release its own tablet in this Summer, Google worked with Taiwanese computer maker Asus very closely, fine tuned its OS in every detail, and released this Android 4.1, so called Jelly Bean. Ainol NOVO 10 Hero II is the third tablet released by Ainol with Android 4.1 ( the first two are Ainol NOVO 7 Crystal and Hero), so Ainol has learned from its Crystal and Hero experience, and fixed bugs that found in its first generation Jelly Bean tablets . Ainol NOVO 10 Hero II uses a a super large 8000 mAh battery, while most of the 7 inch tablets ’ battery is about 3000 mAh, and most of the 9. 7 inch tablets’ battery is about 5000 mAh. 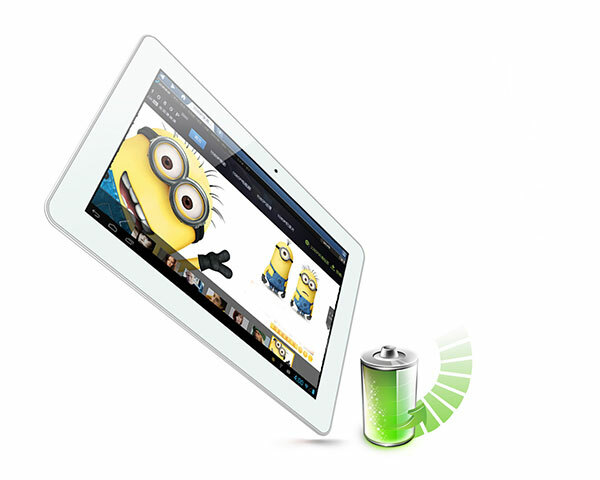 Battery is one of the most important factors to consider when buying tablet. Most of the Chinese tablet makers are trying to use less capacity battery to reduce cost, while Ainol always selects the largest capacity battery for the best user experience. In addition, Actions’ quad-core CPU has smart power management – it can turn the 4 CPU core on and off independently based on the requirements of apps to save battery. With one full charge of this 8000 mAh battery, you can listen to music for 12~15 hours, play video and 3D game 8 hours, and surf web for 8 hours. Keep in mind most of those performance tests were measured when WiFi is off or screen is off, so the real performance number will be slightly lower. Ainol NOVO 10 Hero II has both front facing and rear facing HD cameras. The front camera is 0.3MP, the back camera is 2MP. You can use them to shoot photo, record video, and conduct teleconference. You can switch between front and rear camera in apps. Skype is supported. Ainol NOVO 10 Hero II supports Google Play . Google Play is pre-installed on NOVO 10 Hero II- you can access and download more than 400,000 apps directly from your tablet. Ainol NOVO 10 Hero II supports 4K x 2K Super HD and other HD formats – that is 4X resolution than the full HD 1080P. 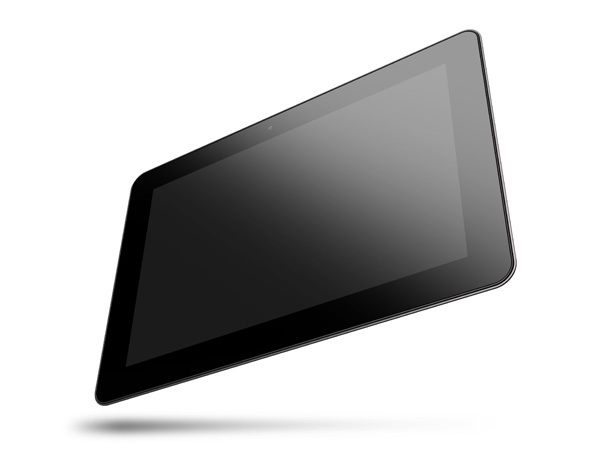 Once you connect it to your HD TV via the HDMI cable (free gift from uPlay Tablet ), it automatically recognizes HD TV connection, and output video signal to TV. It displays on both tablet and TV for all operations. It outputs 60fps 1080P Full HD video and 1080 3D video. 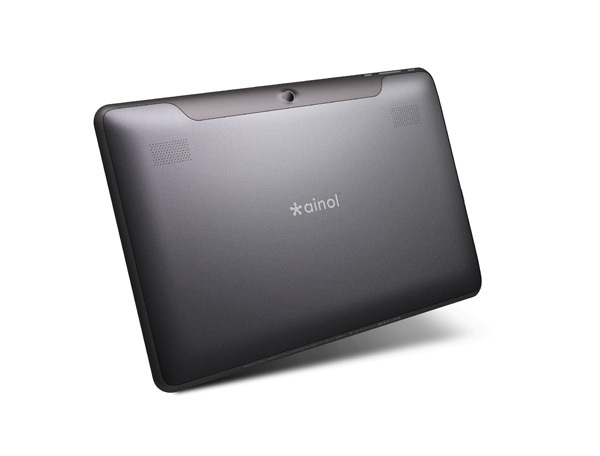 Ainol NOVO 10 Hero II has 1GB DDR3 RAM (most tablets have 512MB memory). DDR 3 RAM is the latest memory technology, and it’s 2X faster than DDR2 RAM. Large memory allows numerous tasks and apps to be run at the same time with no loss in speed or responsiveness. Furthermore this allows data to be processed faster, meaning 3D games run better than ever! 1280×800 pixel screen used on Ainol NOVO 10 Hero II has higher pixel density than 1024×768 pixel screen commonly seen in those 9. 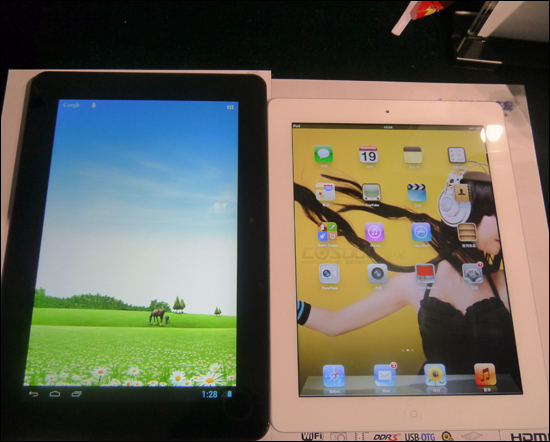 7 inch tablets and 1024×600 pixel screen in those 10.1 inch tablets. It supports 10-Point Mult-touch plus ALPS touch buttons. 1280×800 pixel high resolution and 10.1 inch IPS 180 degree angle display enable excellent performance for playing games and watching videos on Ainol NOVO 10 Hero II. Ainol NOVO 10 Hero II’s WiFi chip is made by Broadcom – the industry leader on WiFi chips. 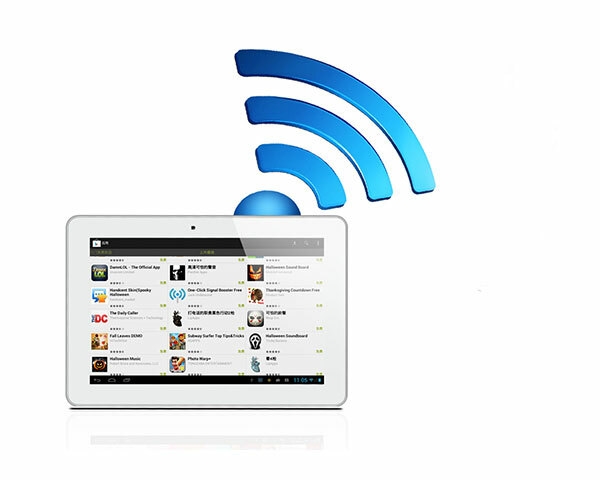 It supports WiFi standard 802.1 b/g/n with a maximum speed of 300M. 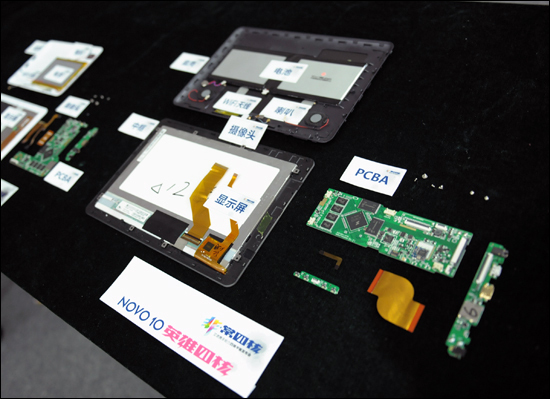 The WiFi chip in most of the Chinese made tablets are designed by either domestic fabless companies or design companies in Taiwan. WiFi compatibility is one of the common issues that we have seen (other than battery and charging). The Broadcom WiFi chip has better compatibility. NOVO 10 Hero II also support external 3G dongles (see supported 3G dongle list at the end for more details). NOVO 10 Hero II has 3 axis gravity sensor, super sensitive. 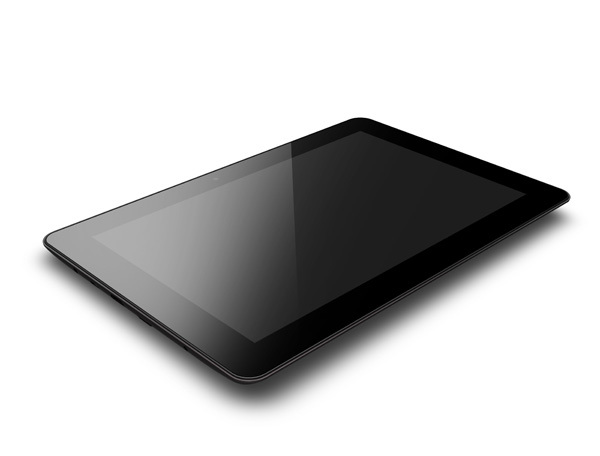 The gravity sensor is a common feature in pretty much every tablet. However, the sensitivity is different. Ainol always picks the most sensitive gravity sensor for their tablets. Screen 10.1 Inch, 1280×800 Res IPS with full Angle, Samsung Brand Screen. Notice the difference? The main difference is that the Novo 10 Hero II’s CPU has upgraded from dual-core to quad-core CPU. Manufacturer Suggested Retail Price: $389.99 (16GB version). Special pre-order price ONLY $259.99 $219.99. a HDMI cable is included as a free gift from uPlay Tablet. The shipping cost is $14.95 no matter where you are. We use Singapore or Fiji Post Registered Air Mail with a tracking number (signature required at delivery). You might be able to find some online stores selling Ainol NOVO 10 Hero II for a few dollars cheaper, but all of those stores are selling the Chinese version for the China domestic market – the default language in the tablet, reference manual, product warranty card, and package are all in Chinese. Most of those stores are based in Shenzhen, China. It would cost your $40~$60 to ship your tablet back to them if you need replacement or repair, while uPlay Tablet is Ainol’s distributor in North America, our office and customer service are in Silicon Valley, California, your return and repair are handled in California as well. Check out our Ainol NOVO 10 Hero II support forum. Have a question about this tablet? ask your question here. You will get answer by email. I’ve now spent 5 days with my Hero 2 tablet and while I won’t get into things like benchmark scores, I will focus on the hands-on experience I’ve had with this tablet. The Hero 2 is my 4th Ainol tablet (Elf I, II and the Crystal came first) so it’s safe to say I’m willing to back this company as it produces better and better tablets at very reasonable prices. The Stock OS – The Hero 2 runs Jelly Bean 4.1 and hopefully there should be an upgrade to 4.2 soon. Once you’ve installed 9 or 10 games and about a dozen apps, the OS does show signs of lag. Once in a while it’ll freeze but come back to life ten seconds later. Installing an app called seeder (available on the Play store) helped a bit. How this app works is a bit technical and you should just read the explanation on the Play store. The app is meant for rooted devices and Ainol, thankfully, has a habit of providing pre-rooted devices which saves you the trouble of mucking around on your own, if you’re a novice at rooting. That said, Clockwork Mod is not a part of the Ainol rooting process so you have to flash that to the device on your own. The stock ROM does not come with Google Talk or Google Chrome. The Play store will tell you that these apps are not compatible with your device. This is a little disappointing for those who use the Chrome sync between the desktop and mobile apps, or want to use the tablet to chat with/video call. The Camera Quality – The front cam is reasonable enough for Skype calls but it’s nothing to write home about. The rear cam, supposedly built to take pictures and shoot video is quite a let down with excessive banding and colour fringing. I seriously doubt I’ll ever be using it to record moments. Even with programs like pixlr express you can’t cover up the poor quality of the images enough. App/Game Support – The one thing you want to be sure of when you buy a tablet with a quad core CPU is that it’ll run all your games without flinching. The Hero 2 falls short but that’s more likely because game developers code their games to support processors like the Exynos and Tegra range. Asphalt 7 shows significant lags on almost every level with the game freezing just long enough for you to crash your car, Amazing Alex doesn’t run, The Devil’s Attorney doesn’t run. I don’t play FPS games on tablets since I prefer consoles for that kind of gaming so I can’t comment on them. However, games like Star Wars: Angry Birds, Ski Safari, Zombie Highway. Traffic Panic, Fruit Ninja and Welder run flawlessly. Feel and Design – I have to admit this is one of the finer tablets Ainol has designed and you won’t find much to complain about. It feels good in your hand even if the screen creaks a bit from time to time. It’s not as solidly built as an iPad but for this price you can have two Ainols for the price of an iPad and you wouldn’t have to put up with the limitations of iOS. Screen – The screen is outstanding on the Hero 2. It’s clear and visible no matter how much you twist and turn it to logic defying angles. The size of the screen makes the tablet perfect for movies and reading comics. The CPU keeps up with these requirements perfectly.